Homeopathy is a safe, effective system of natural medicine, used by millions of people worldwide for more than 200 years, to achieve wellness. Homeopathy was started by Dr. Samuel Hahnemann (1755-1843). He was born in Meissen, Germany. Dr. Hahnemann was a brilliant medical doctor who lived and practiced medicine in Leipzig, Germany for much of his medical career. He became disillusioned by the limited results he and his colleagues were able to achieve using medicine available at that time. He quit his medical practice and started earning his living by doing medical transcription. While doing this work, in 1789, he translated a book by William Cullen, one of the leading physicians of the era. At one point in the book Cullen ascribed the usefulness of Peruvian bark (Cinchona), in treating malaria, because of its bitter and astringent properties. Hahnemann wrote a footnote in his translation, disputing Cullen's explanation. Hahnemann asserted that the efficacy of Peruvian bark must be for other factors, since he noted that there were other substances and mixtures of substances decidedly more bitter and more astringent than Peruvian bark that were not effective in treating malaria. He then described his own taking repeated doses of this herb, until his body responded to its toxic dose with fever, chills, and other symptoms similar to malaria. Hahnemann concluded that the reason this herb was beneficial was because it caused symptoms similar to those of the disease it was treating. He called this effect “like cures like” and based his research on this principle. Hahnemann started practicing using the principle of “like cures like” and was very successful with patients who were not helped by the medical practices used at that time. In fact, his colleagues started sending him patients that they could not successfully treat and he was able to help many of them using Homeopathy. 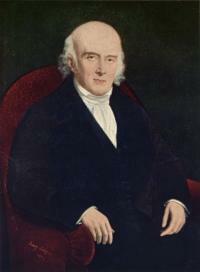 Dr. Hahnemann moved to Paris in 1835 where he lived with his second wife Melanie until he died in 1843. In many parts of the world, Homeopathy is the most used medical science because of its effectiveness, gentleness, lasting effects as well as low cost and sustainability. Here in the United States, Homeopathy is making a come back, having been the preferred method of treatment in the 19th century. ​Homeopathy has helped many people. If you are looking for proof, just look to some of the historical epidemics that have plagued this world we live in. There are a number of documented incidents that we can compare the results achieved by both Western medicine and Homeopathic medicine. Below are 3 specific cases that were documented. Allopathic treatment had a 15-85% mortality rate (depending on epidemic); and Homeopathic treatment had a 6% mortality rate. The worst yellow fever epidemic in U.S. history occurred in 1878, with over 5,000 deaths in Memphis alone and 20,000 deaths in the whole of the Mississippi Valley. Various yellow fever epidemics raged throughout the Deep South throughout the mid to late 19th century. Dr. T.A. McCann, from Dayton, Ohio reported that 24,000 cases of flu treated allopathically had a mortality rate of 28.2% while 26,000 cases of flu treated homoeopathically had a mortality rate of 1.05%. This last figure was echoed and endorsed by Dr. Dean W.A. Pearson of Philadelphia (Hahnemann College) who recorded 26,795 cases of flu treated with homeopathy with the above result. 388 cases were treated with homeopathy with a 2% death rate, while the allopathic infirmary had a 40‐60% death rate. In 1878, Saturnino de Meirelles and others re‐created the old Instituto Homeopatico do Brasil and in 1880, they changed the name to Instituto Hahnemanniano do Brazil, which still exists. Homeopathy appears to be thriving in Brazil and is an important part of national health care inititives.